Affricates , which we find for instance at the beginning of English chip , constitute one of the mysteries of phonological science . Linguists have been quarrelling for quite some time how this articulatory complex sound , consisting of a plosive released into a fricative , has to be described phonologically . That is , do languages , or rather speakers of a language , treat these units as a kind of plosive or as a balanced plosive - fricative combination ? 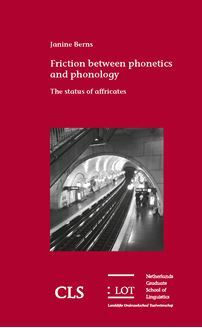 This thesis presents an overview of the different analyses put forward in the history of phonological theory , and aims to break the current deadlock by addressing data from complementary sources ; ranging from a genetically - balanced sample of the worldâs languages to diachronic and synchronic French . It is shown that affricates are not as complex as we had once thought .